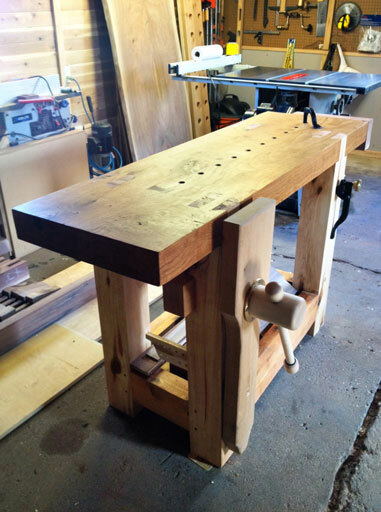 Adding our April 2012 Workbench of the Month from Bobby F. of Davenport, Iowa to our Lake Erie Toolworks Blog for ease of access and historical awareness. Thanks for considering my bench for your monthly feature. As for a few more details, the benchtop itself is made of white oak and measures 57 1/2″x18 1/2″x3 1/4″. The bench itself is 35″ high. I used poplar for the legs and cedar for the bottom shelf and stretchers. For the chop I used quarter sawn white oak and it measures 32″x8″x2″. For the finish I used a mixture of one part boiled linseed oil, one part mineral spirits, and one part cherry stain. And I applied two coats. I can only guess at the weight, but I would estimate somewhere around 250 lbs. or more with the two vises. 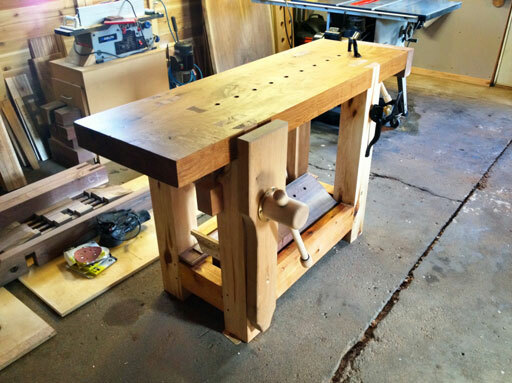 I’m somewhat new to woodworking and probably like a lot of your customers, I was inspired by Christopher Schwarz’s article in Popular Woodworking on the Roubo bench. 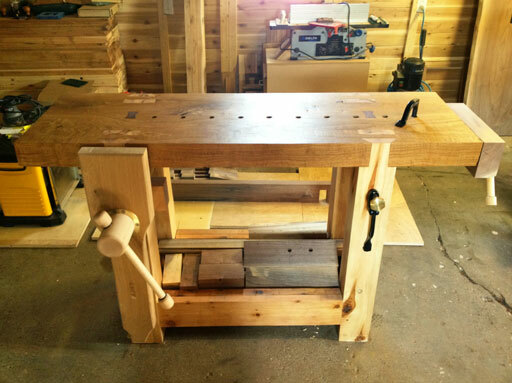 If you are interested I documented the whole process on my blog at http://brokenriverjoinery.wordpress.com/category/roubo-workbench/ There’s some nice shots of the chop and leg vise there. 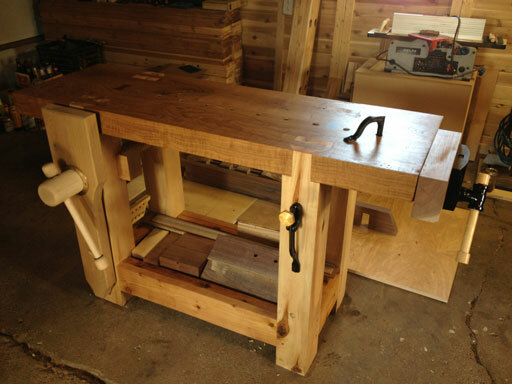 Thanks again, and the leg vise kit is lovely piece of craftsmanship.